The state of government accountability and performance in Zimbabwe from independence till the new dispensation is highly disheartening. The current socio-political and economic situation aptly provide more than sufficient evidence that the Mugabe administration's performance was very weak. It failed to deal with the problem of unaccountable and non-transparent public service. This system created a culture of corruption in government where public officials did not need to be accountable for their actions and the citizens could not demand accountability. Zimbabwe is blessed with vast mineral deposits and tracts of fertile land, but the average man on the street is poor and there is poor amenities and infrastructure like roads, hospitals, etc. This buttresses the evidence that the Mugabe administration lacked proper accountability and this resulted in poor performance in service delivery. With over three decade of independence, the public service ought to have institutionalized accountability and performance. The absence of an accountability ethos, and lack of strong government agencies to enforce laws and rules, had adverse effect on public sector performance. This backdrop created an opportunity for public officials to embezzle funds, externalize millions, become land barons and multiple farm owners without fear of repercussion or punishment. This obscene political patronage meant that the politically favoured could get away with crimes. Being in the civil service became a ticket for self aggrandizement. The Mugabe administration unavoidably became a failed state due to this unbridled white collar crime, where people of high respectability and social status took advantage of their occupation to illegally accumulate financial gain for themselves at the detriment of the larger society. In spite of this funereal picture, there is still a glimmer of hope if the new dispensation under President Mnangagwa would have the moral courage to remove the bureaucratic inertia of the various tiers of government. The buzz word with the new administration has been "New Economic Order", " Business-Unusual", the hallmark of which is to provide quality public services that meet the needs of the citizens, to be more accountable for government decisions and actions, and manage resources more prudently. It conjures up an image enmeshed with an efficient and effective government, de-bureaucratization, citizen-centered public service, privatization, performance management, etc. For the new administration to succeed and meet these desired results, it must curtail the excesses of public office holders and make them performance oriented by introducing programme and performance budgeting, management by objectives, organizational development, planned and preventative management, and so forth. - Business Unusual Approach - Ensuring policy consistency, clarity, credibility and predictability. - Government will have no tolerance for bureaucratic slothfulness. - Introduce Smart Technology - Direct contacts between government officials and citizens can open opportunity for illicit transactions. - All Ministries to establish Audit Committees by end of December 2017. - The Public Expenditure & Financial Accountability Assessment Report to be published during 1st quarter of 2018. - The Public Finance Technical Response Unit to study and follow up on matters raised through the Auditor General's Reports. - Acts of corruption must stop. Where these occur, swift justice must be served. - Establish toll-free lines to facilitate reporting of any cases of corruption to the Office of the President and Cabinet, over and above the administrative levels. - NPA, ZACC and ZRP will be required to publish reports once every quarter giving statistics on crime and corruption. - Regularize lifestyle audits of all Public Office Holders. - Uncover cases where huge sums of money and other assets were illegally externalized by certain individuals and corporates. 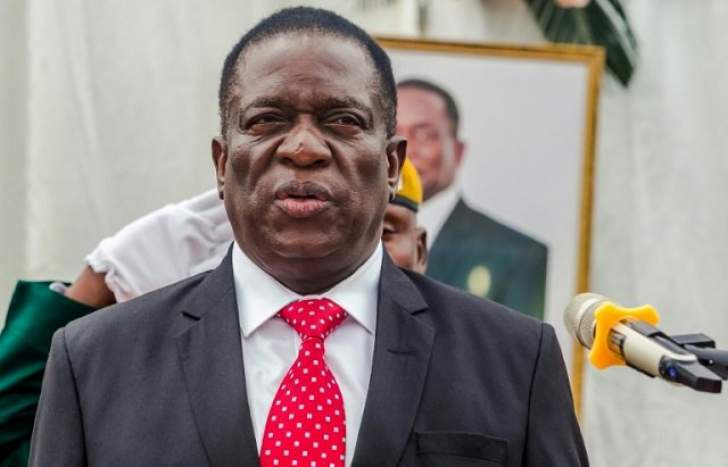 Zimbabwe cannot afford to continue treading on the path of unbridled corruption, because corruption erodes the capacity of government at all levels to provide public services at the quality and quantity needed to improve the living standards of the people. In order to ensure effective running of government and ensuring accountability in Zimbabwe, adequate structures need to be put in place, systems and processes need to be developed to guide the operators of the structures and ensure strict compliance with them. There is dire need to re-position the public service, making it more efficient, effective, dynamic and results oriented by enhancing its work culture that will, among others, enhance transparency, accountability and ethical standards. The Zimbabwe Anti Corruption Commission (ZACC) need to be given the authority to pursue and prosecute anybody regardless of his or her position. Evidence of such will build public trust in government, and also serve as a deterrent to corrupt public officials. The new administration, therefore, needs to show the public that they are performing their responsibilities in the best possible way and using the resources provided them effectively and efficiently. It is imperative that citizens have access to information either facts or figures that allow them to pass judgment on the conduct of the government - approving account, denouncing policy or publicly condemning behaviour. Democracy makes it permissible for citizens to hold government accountable and also to monitor and control government conduct.